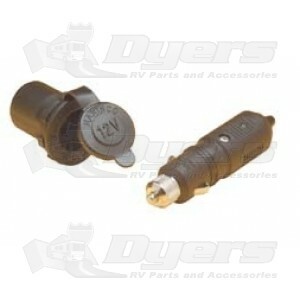 This is a combo pack of a ParkPower 12 Volt plug and receptacle. A new and exciting approach to 12 volt accessory design. Unique interconnecting 12 Volt system securely locks the plug into the receptacle, resulting in a positive and moisture proof connection. Optimized metal connection points for maximum conductivity.